Click Save Store to save! 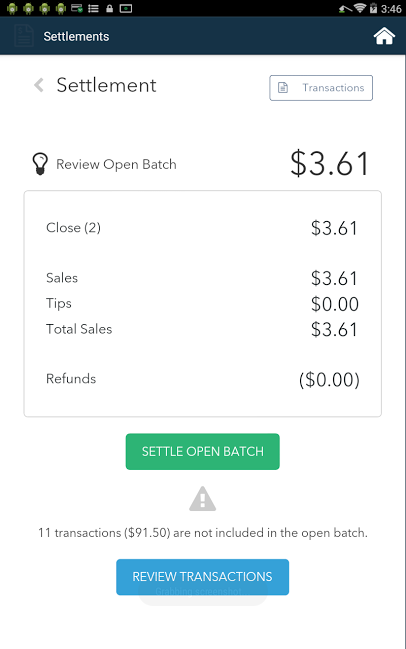 Step 3: Tap on Settle to review a Settlement Summary of transactions currently in the Open Batch. 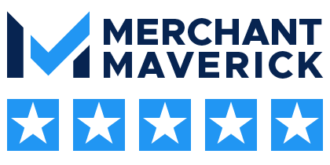 You will see summary amounts for Sales, Tips, and Refunds (if applicable). If you have any Auth-Only transactions, you will see an option to Review Transactions. 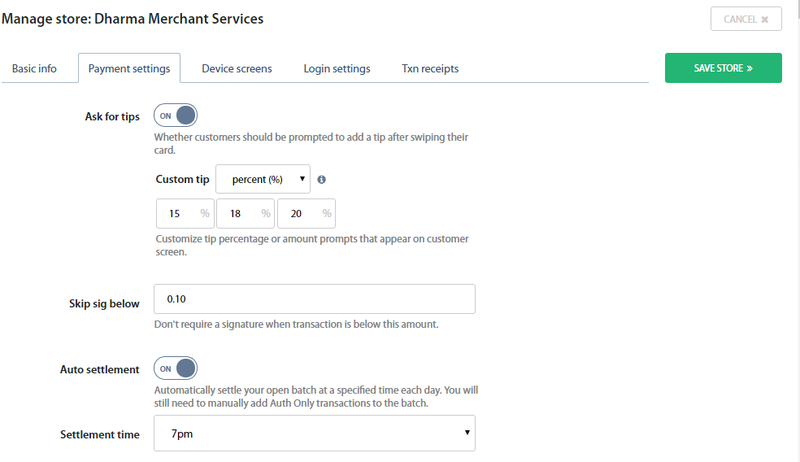 Step 4: Tap on Transactions or Review Transactions to view a detailed list of transactions in your Open Batch, Pending Tips, and payments in Auth-Only status. You will see tabs for Open Batch and Auth-Only (if applicable). 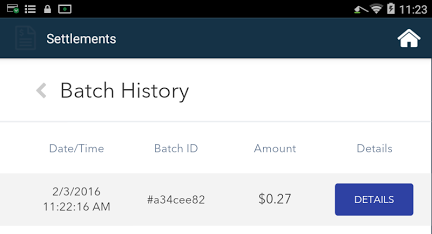 Step 5: If you have any Auth-Only transactions, here is where you can tap into Edit, and then tap Add to Batch so that the Auth-Only transaction is captured and completed when the Batch Settlement is submitted. You can also Void the Auth-Only from here as well. Step 6: Once you’re finished making any necessary adjustments to your Transactions details, you can tap Review to return to the Settlement Review page. When you are ready to generate your Settlement Report tap on the green Settle Open Batch button. This will also submit any Auth-Only transactions ready for capture. Note: If you have any Auth-Only transactions that are not ready for capture, you will continue to see the message that “x transactions ($amount) are not included in the batch”. 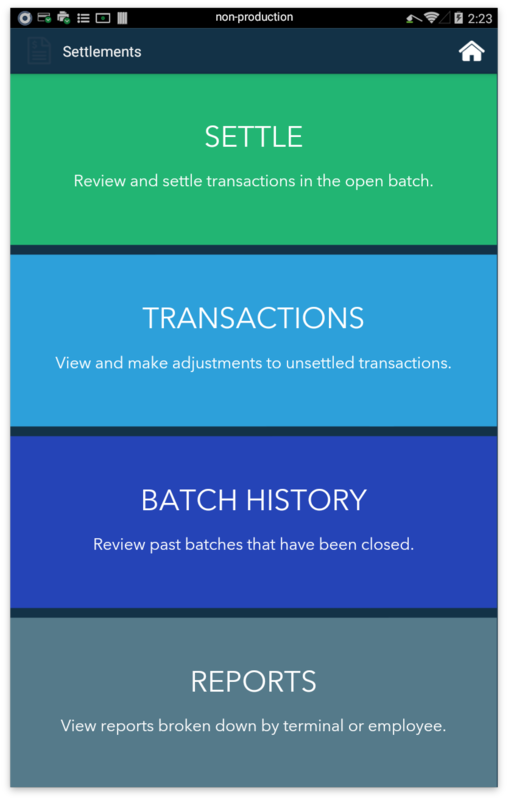 Tapping on Settle will only generate Settlement Report for transactions which are in the Open Batch. At any time, to access details for a specific Settlement Report, you can tap the Batch History option from the Settlement App menu. You will see a list of Batch Reports. Tapping on the Details button will allow you to access a specific Settlement Report including a full list of transactions in the batch.